This STAMPtk manual documents all of its options and operations. Please consult our tutorials for some friendlier explanations. STAMPtk is a command-line program, so you should use your computer terminal or command prompt to try these examples. < output filename > is the filename of the PDF to create. If omitted, then stamptk outputs to stdout. Stamptk creates PDF pages from your page range options that are input on the command line, by one or more text files (via include=), or both. More than one page range can be described using the options, and these separate page ranges can have overlapping or even identical page numbers. < page range handle > is a sequence of upper-case letters (A-Z[A-Z]...) that identify the page range for which the given < option key > and < option value > apply. Options that use the same handle are combined to make one page range. Multiple page ranges can be described by using a different handle for each page range. Page ranges can have overlapping page numbers (see the range option). This is the text you want displayed on the page. It is restricted to the CP-1252 character set. You can set only one of these per page range, but you can add multiple text strings to a page by using multiple page ranges. It is encoded in CP-1252, optionally using escaped octal (\000) or hexadecimal (\xHH) for non-ASCII characters. Backslashes must be escaped using a backslash (\). This is the text you want displayed on the page. It is restricted to the CP-1252 character set. You can set only one of these per page range, but you can add multiple text strings to a page by using multiple page ranges. It is encoded in UTF-8. 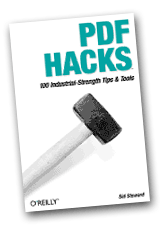 This allows you to add your own PDF page description code to the pages in the range. The given keywords delimit the PDF code that will be added to the PDF page verbatim. There is a newline after the first keyword and another newline before the last keyword. This can be used in combination with the text, textUTF8 and related options. When using only the stream option, the only other options to consider are the range, embed, media and font options — the other options relate only to adding text to the pages. You can apply multiple streams to a single page by using multiple page ranges. This takes an arbitrary string and invisibly embeds it into each page’s PDF dictionary using the dictionary key stamptkData. This is useful if you have data you want to pass to a PDF parser downstream. Parentheses and backslashes must be escaped with a backslash. Only one can be set per page. If more than one range sets this option, only the final setting will be used — values are not appended the way page text and page streams are. Maximum length: 64k bytes.